Does anyone else feel like they were born in the wrong century? We have all imagined what it would have been like to live in the 1800’s. Imagine what it would have been like to see all the game on the plains, to be the first to visit a mountain lake, to ford a river, to smell the clean air, to drink the clean water. We all do it on our outings, we wonder, how many people could possibly come here ever year? How many have ever come here? There is history out in the woods, if you get deep enough, perhaps you could still be the first. The survivalists among us would have done just fine. Ol’ Jim Bridger had nothing on us tough country folk, except for the fact he and other like him had the Cajones to do it before any other European had. Not to mention that the truest outdoorsman, the Natives, were hostile and their stalking, tracking, and hunting skills were second to none. Worse yet, if you found yourself in the wrong area, you were the hunted. Today, the only apex predators we need to worry about rarely pose a real threat. On the other hand, the outdoors always will. It doesn’t matter whether it’s so dry the trees are bribing the animals or so wet it’s raining like a cow pissin’ on a flat rock – Mother Nature will always be the Apex predator. Any well-informed outdoorsman will tell you the first key to surviving is water. Unfortunately we can’t just dip our ugly mugs into the crystal clear water and take a sip anymore. Doing so would likely cause a serious case of the trots at best or other conditions that’ll stay with you longer than your in-laws during the holidays. Unlike the tough SOB’s of yesteryear, we have technology on our side. 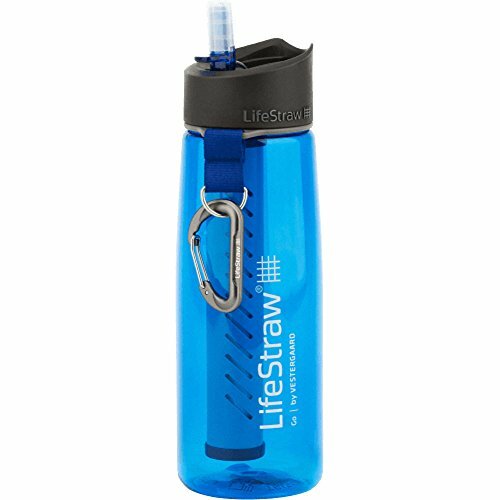 Today’s sportsman has simple, inexpensive, convenient life-saving tools that’ll ensure you are drinking fresh water every time. If you don’t carry one, you should – you never know when Mama Nature is going to bite back. This bad boy is incredible. Certainly a must have for all bug-out-bags. If you plan an extended stay in the backwoods you can't go wrong with an endless supply of clean water. I still remember when cousin 'Broke Billy' couldn't play. Aunt Sheila said he got the 'Giardia' from drinking out of the creek. The next time I saw Billy he smelled bad enough to gag a maggot, unfortunately that stink has never left him. Don't be my cousin Billy, smell good, get a Lifestraw. If you're keeping a tally, you might get along well with my Engineer buddy Richard. 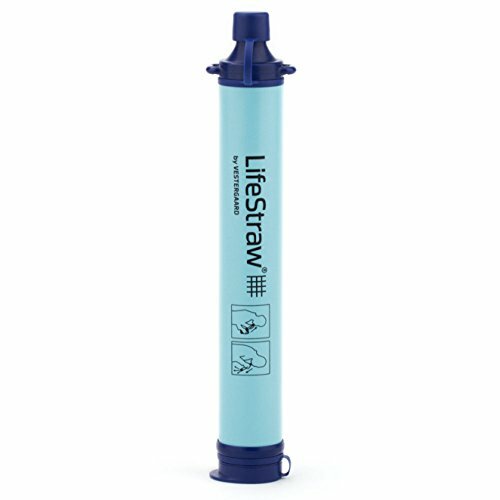 The Lifestraw is .2 microns while the Water Straw is .1 micron. Coolest part is, I'm writing this as though I fully understand what a micron is, and I don't. It's little. Point is, unless you are the type that likes to pick fly poo out of pepper, who cares. Either of these could save your life or just make your treks into the outdoors that much easier. The pressurized Jerry Can was created to provide high quality water quickly and efficiently. 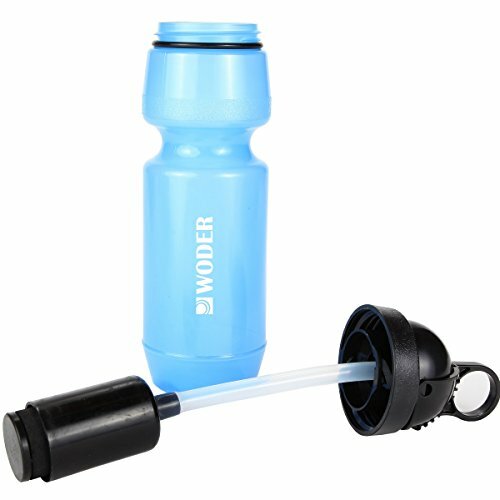 It's internal filtration system along with a hand pump make it easy to filter large amounts of water while camping, traveling, or in the case of emergencies. Seriously, how cool is this thing! In five years or 400 gallons of water you'll need to change the filter. That's it! This is a bug out bag, hiking, scouting, hunting and fishing necessity. 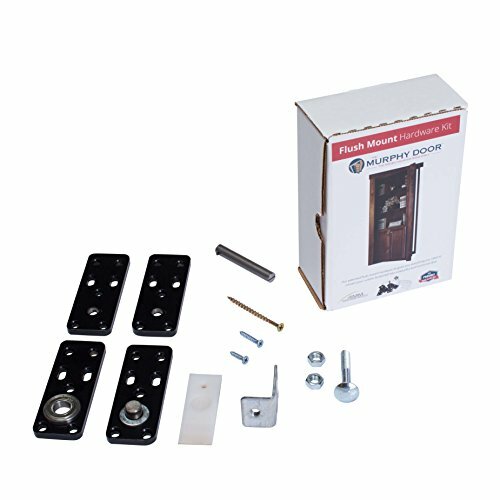 No more boiling water or packing around a ton of heavy water. It's so simple you don't need to be an organismologist to use it. That and these folks put the icing on the no nuts german chocolate cake by adding a carabiner, mirror, tourniquet, bear whistle and compass. Seriously Q, what's next?